darkSpyro - Spyro and Skylanders Forum - The Legend of Spyro: A New Beginning - Would you want a remake? darkSpyro - Spyro and Skylanders Forum > The Legend of Spyro: A New Beginning > Would you want a remake? In times of war, we take flight and fight! I actually thought there should be a collection game in the future called the Spyro Burning Fire Collection, which contains every version of every Spyro game up until 2009 (and the first two models would be on the cover). Yeah, it would be quite good to have ANB a bit more interesting. The plot is a little bit dull, I mean, learn an element, rescue a guardian. Learn and element, rescue a guardian. I'd also like to see two players. At this point, you're right, TorchSheep. 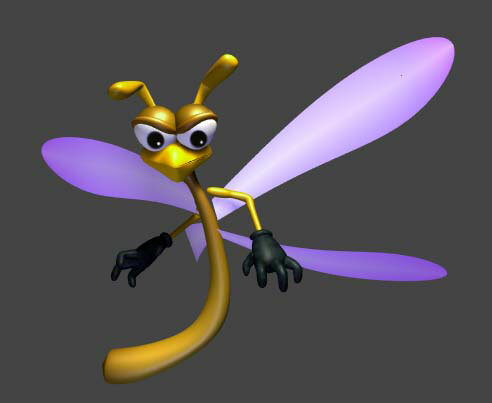 Spyro would need a BIG comeback in order to even get a chance at a reissue. Well for the remake of the games A New Beginning and the Eternal Night, I would like to see better graphics, a new combat system because after a while it got stale on me, a Variety of enemies instead of just apes and monkeys (hearing the apes laugh got REALLY annoying), and a better written story that fixed plot holes. Now with Dawn of the Dragon, tighter graphics with less glitches, better connectivity to the other two games, and more challenging fights. I'd probably get it, but honestly, I would be much more interested in a remake of Shadow Legacy. I'm not even all that bothered about any remakes anymore to be honest. May as well just make a new game. In my opinion, Dawn of the Dragon needs a COMPLETE rennovation for a reissue. Dude, you gave DotD a 5 out of 10. I'm talking about raising that bar, man! I wouldn't want to remake tLoS, I absolutely LOVE THIS SERIES! It doesn't matter how spyro looks, he's still the purple dragon we all love! i would like a hd remake, a lot of games get this done to them... i would buy it in a second, if it happened. Rather than and HD remake, I think the series would be better suited a to reversal back to the Legends of Spyro or even a fourth reboot. Okay, scratch that I said "no" to this. I'm changing it to YES! They should at least remake DotD, but it would be cool to see a remake of the series. Yes. They looked decent at the time but ANB's graphics look extremely dated by today's standards, and could use a serious touch up. If they bettered the graphics, made tweaks to the story, and prevented such cheap deaths from occurring (TEN), a trilogy remake would be pretty good. But it's not financially viable and would never happen unless they were to decide that they wanted to somehow continue the LoS story. No. On the whole, LoS was mediocre and terrible and not worth having to suffer through a repeat in any way. To get a decent remake out of this series, you'd have to redo it so heavily it wouldn't even be recognized as LoS. And if that was the case, well, what's the point? Ah, I dunno! I actually find ANB really fun, and it's one of the reasons why I can't hate TLoS even though I have negative feelings towards it haha. I have tons of complaints yeah, but it's really, really pretty and I found the gameplay fun. But I don't really think I would care for a remake?? I don't really feel like the game needs it. All I can imagine changing would be the art, and honestly it still holds up pretty well imo. The games are so recent that a remake now would just feel very... unnecessary? Yes, they should do what Insomniac did with the Ratchet and Clank Collection. Why is it that all of a sudden people are getting so excited about "remakes" for? The game will still be the same anyway.